Cotton gloves help prevent staining during masks and other therapies while sealing in moisture and aiding penetration of lotions or creams. 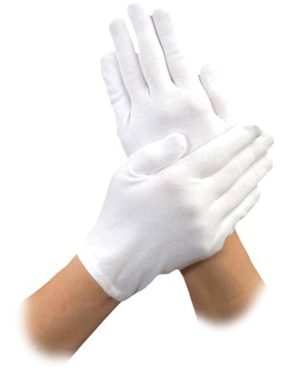 Apply moisturizer to hand and slip gloves on for 10-20 minutes for a quick hydrating treatment. May also be used overnight for intensive therapy. One pair, white. 95% Cotton and 5% Spandex. One size fits most.